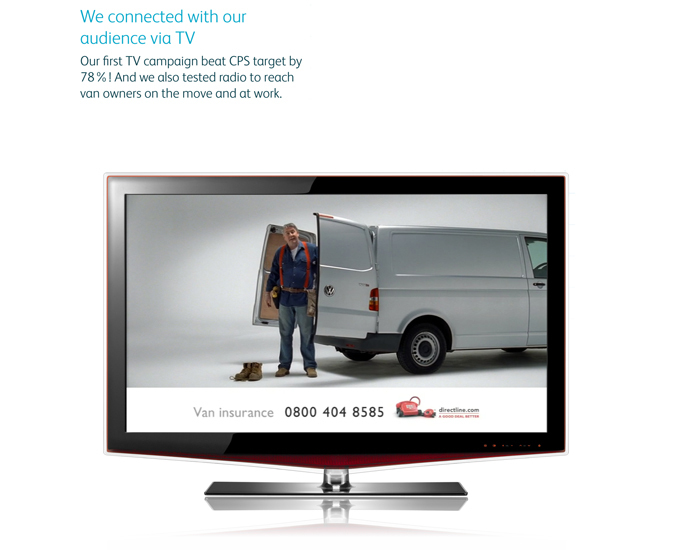 We were the sole creative agency for DL4B producing an integrated communication model for van insurance. 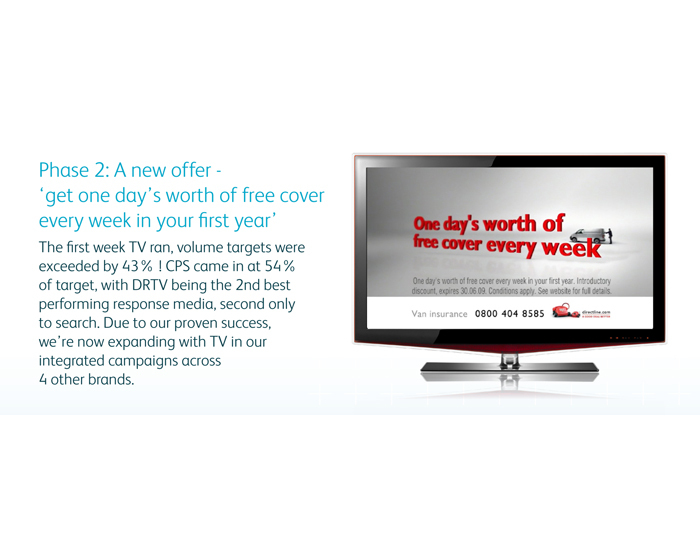 With lower budgets we needed to ensure not only the direct media worked hard, but also TV (the key media for quote generation). 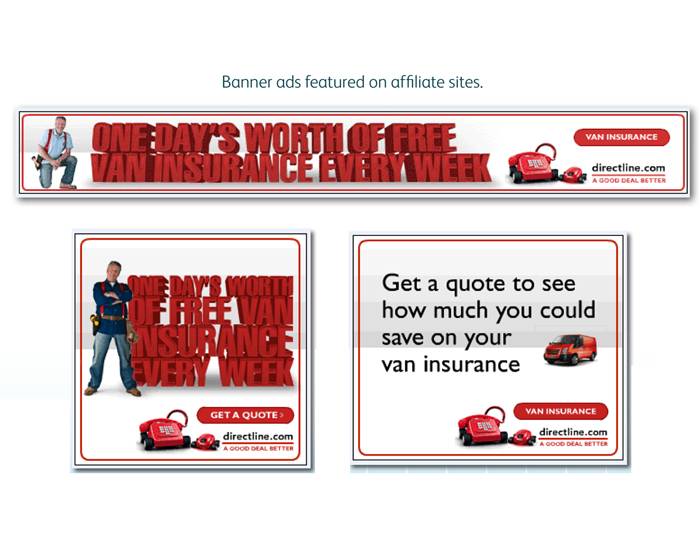 This campaign delivered results volumes 85% above target and put Direct Line’s van insurance a Number 1 for consideration. 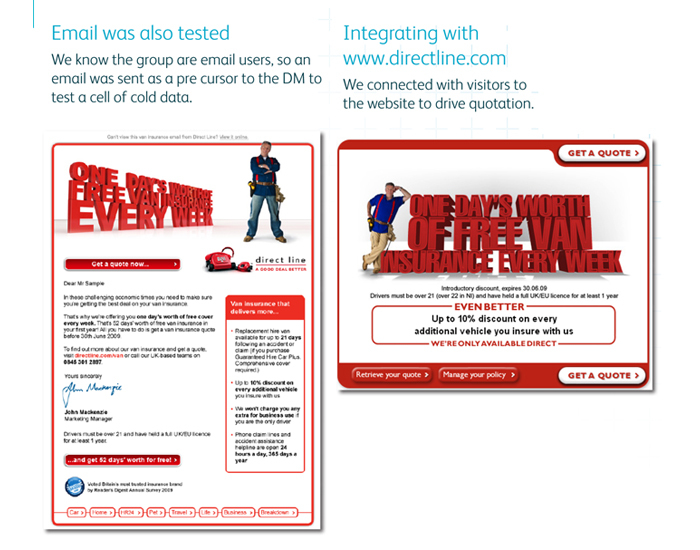 Plus we won the Financial Services Forum award for ‘Most effective Direct Marketing Campaign’ and DMA Gold for Best response TV or radio advertising. 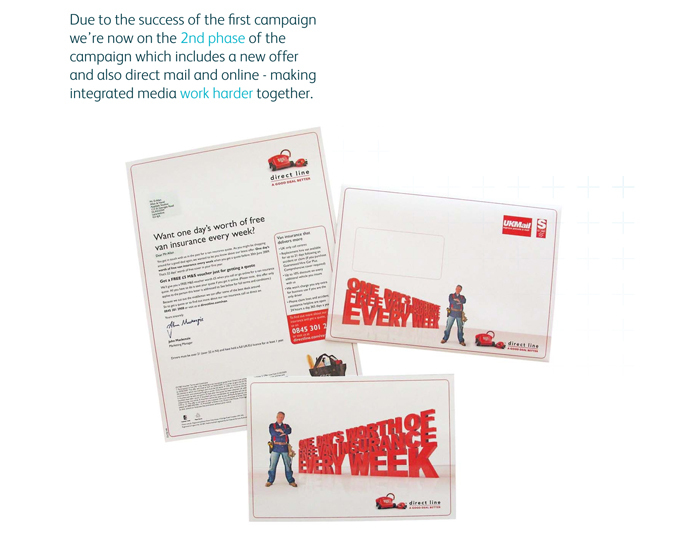 The campaign approach was so successful we then rolled a similar approach out for another product, Landlord Insurance.